When you think “saving money” chances are you think “coupons”. Or “sales” or “missing out”. Hopefully by now you’ve seen how spending less does not have to mean doing less. There’s ALWAYS ways to save on things you want and need. The best way to accomplish this is by saving on things you need so you have money leftover for the things you want. Saving money on the essentials doesn’t have to mean coupons. 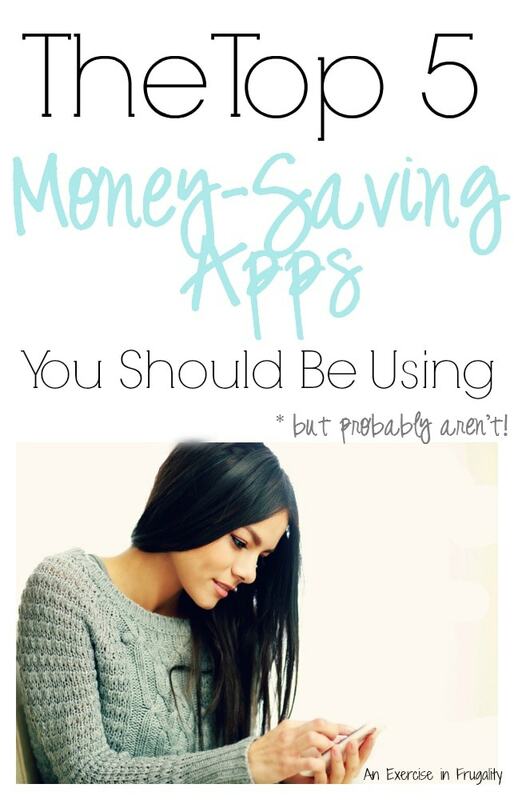 There are literally thousands of money-saving apps out there to help you. If you really mean business, you can use coupons AND stack them with deals from money-saving apps and save big time! You might do a search for money-saving apps in the iTunes App Store, and get thousands of hits. Which ones do you choose? 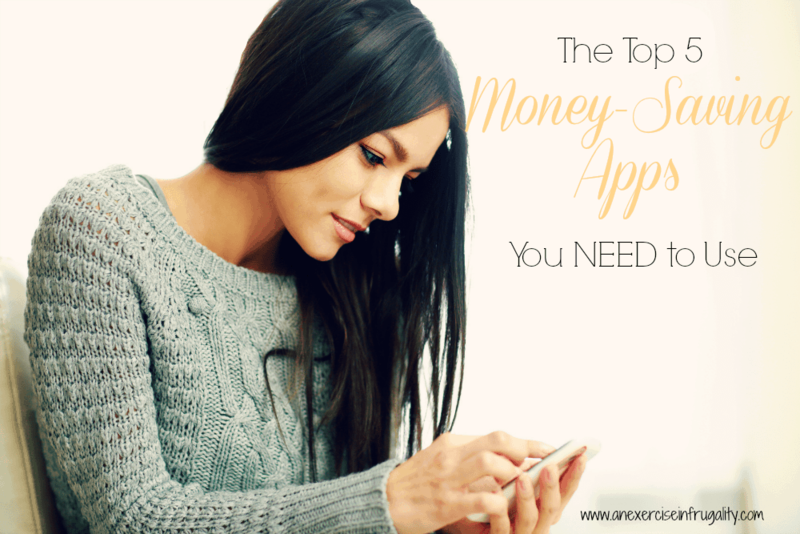 I’ve tried countless apps and I have narrowed them down to the ten MUST HAVE apps for saving money. Don’t worry- every single app listed here is completely free to use! A little disclaimer on this: New apps are being developed every single day. I will periodically update this list if apps decline in quality, or if new apps bump them out, but for now, the following ten apps are ones you need to be using as of right now! I’ve included links so you can download them now without missing a beat. I’ve also included a little blurb about the app, and why I think they are the bees knees. Favado is a tremendous help when creating grocery lists. You can choose from a list of stores, and then view the coupon match ups, and all available coupons. You create a virtual shopping list right on your smartphone. I’ve also done a video tutorial on Favado which you can view here. What I like best about Favado is that it does all the work for you (short of pushing the shopping cart!) It’s simple to use and very thorough. You can even highlight favorite items, or those your family uses often, and it will alert you when and where those items are on sale. Saving money doesn’t get much easier than that….or does it? Checkout 51 is a very simple app. Each week, there’s a set number of deals. All you do is shop like you usually would. If you use an item that is featured in their weekly list, you take a picture of your receipt and submit it. Then you get a credit for the items you purchased. For example, last week, I bought a gallon of milk and a dozen eggs. Checkout 51 gave me $0.50 each for those items, plus since it was my first offer, I got a bonus of $2. That’s $3 back for buying things I was going to buy anyway. The money adds up in your account, and when you’re ready, cash it out and they send you a check. That’s it. No strings attached! It’s a great way to save up a little extra spending cash! My absolute favorite part is that you can use Checkout 51 in conjunction with coupons! Since it’s done after you get home, it does not interfere with any of your regular coupons. Just bonus savings! Ibotta works very much the same way as Checkout 51. The only difference is Ibotta makes you work a little more for their offers, but they tend to have more of them. Also, with Ibotta, you have to choose only from certain stores (there’s many to pick from, but certain stores are not yet supported, like Walmart for example.) When you sign up for Ibotta, you have to do small tasks to “earn” your offers. For example, they may have you watch a quick commercial, or read a short fact about a product. Most of the things are super easy, and can actually be entertaining. There’s also “bonus” opportunities that pop up where you can earn badges or bonus savings. The neat thing about Ibotta is that if you leave notifications enabled, it can tell when you enter a store that it supports, and it will send you a notification that actually reminds you to use it! Even if you forget, you can still activate the offers when you get home. Like Checkout 51, Ibotta can be used in conjunction with coupons for extra bonus savings. With SavingStar, you can connect to your store loyalty card and select from a number of offers to activate. When an item you’ve activated is purchased, it automatically communicates with your store loyalty card, and BOOM! You get money back from your purchase, similar to Ibotta and Checkout 51. The offers change periodically, and the money sits in your account until you have enough to cash out (minimum is $5) , and you can choose from a number of payout options including Paypal, bank deposit and gift cards. PLUS you can use SavingStar to get cashback from purchases at tons of other retailers like Sears, Lands End, Home Depot and more. The nice thing about SavingStar is that once you’ve loaded your deals onto your card, you don’t have to think about it again! Several times I have logged into my account only to find I can cash out a nice little chunk of money because I forgot I had even bought the corresponding items! It’s such a nice surprise to get money BACK for a change! Like the other apps, SavingStar can also be used in conjunction with other coupons. These are just a few of my favorite apps that I use. What’s your favorite money-saving app? I use a few of these and love them. I love that you can just do it when you get home too. I usually just check if I bought anything on any of them, without trying to know it all in the store. I had never heard of Favada. I do use Ibotta and Checkout51 regularly, though. They both save me tons of money. Definitely gonna check out the other. I don’t shop at Target often, but when I do, I use Cartwheel. Walmart has one, too – but I can’t remember the name of it off the top of my head (I also don’t shop there often). Have you ever looked into Shopkick? It gives you an opportunity to earn points that can go toward the gift card of your choice. You get points through walk-ins (literally walking into a store) and/or scanning items on the app. I like to use it as a birthday/Christmas savings (just save up points, redeem points right before the holidays, and bam, I’ve paid for Christmas for walking into stores and scanning a few items while I shop). I hadn’t heard of Favado — I’ll have to check it out! Yes! I actually always forget about Shopkick for some reason. I had it on my old phone and always forgot to use it. I need to redownload it now. Thanks for the reminder!